Planning your honeymoon in Paris? Celebrating a special anniversary in the romantic City of Light? 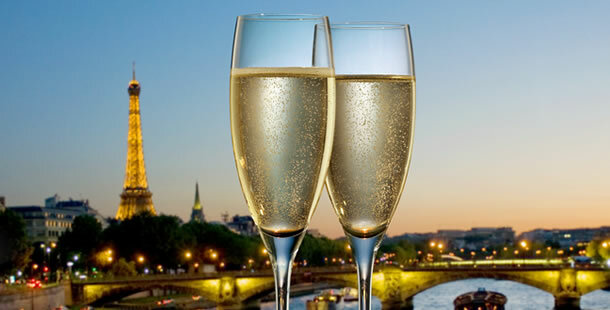 Allow us to enhance Your Paris Experience with our Wedding Anniversary and Honeymoon services…. We specialize in arranging romantic getaways! Champagne, flowers, photographs, romantic restaurants, luxury transportation. All the memorable touches for your special occasion. This fully tailored service includes a detailed itinerary, restaurant and tour reservations. A bottle of French champagne, a gorgeous bouquet of fresh flowers and a beautiful Parisienne box filled with luxurious goodies will be waiting for you and your loved one at your hotel/apartment upon arrival. Would you like to renew your vows while you are here in Paris? I work with a brilliant company that specializes in exactly this arrangement. How did you meet and what is the special memory you want to create with the ceremony? These are questions that you can discuss with your Caroline so that you will have the most perfect ceremony in a setting you’ve dreamed of…in the garden near the Eiffel Tower, on a private yacht or somewhere in the French countryside. This is a truly special moment in your life and the celebration will certainly be all you have hoped for and dreamed of.